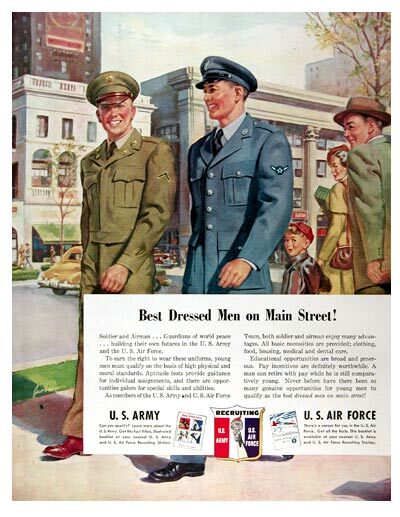 1950 Army Air Force Recruitment original vintage advertisement. Soldier and Air Man, guardians of world peace, building their own futures in the U.S. Army and U.S. Air Force. Never before have there been so many genuine opportunites for young men to qualify as the best dressed men on main street!